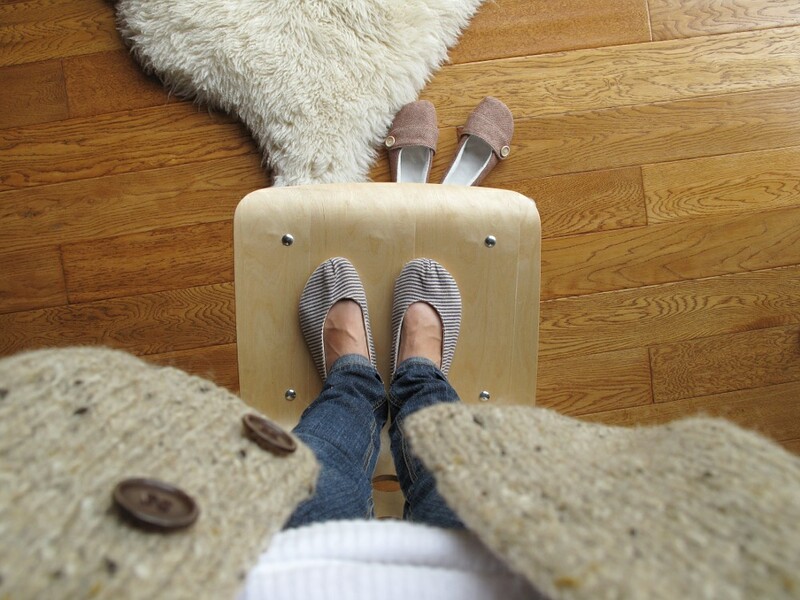 A small shop update for the 1st of June… Two new pairs of eco toes, in vintage wools. This is my favorite style so far, and the wool lends itself to it perfectly I think. I know, it’s almost summer, but it sure doesn’t feel like it here in Oregon (as I sit here in a heavy sweater, with long pants and slippers). Some of my customers have told me that they wear their eco toes in their air conditioned houses during the summer, to keep their feet from getting cold. I love that. So if you happened to be one of the people who missed out on the wool tweed pairs back in March (which FLEW out of here in the most amazing way! ), you might just want to check these out. Can’t believe it’s June! Hope y’all are doing sooooo fine. I’ll be back soon with a larger shop update… or maybe a few small ones… not sure which yet… just tryin’ to keep flyin’ by the seat of my pants! I have added a couple new pairs of organic shoes to the shop. One is for ladies, in golden yellow. These will be quite limited… maybe 2 pairs. I won’t make any promises on when though, as I life is so very full right now! I hope you all have had a wonderful week! See you soon. join me for a giveaway! Hello! Help yourself to some savory herb corn cake. There is a lot to celebrate and it is due time we had a little party, don’t you think? ~ infusion (the shop) turned one year old back in March and within that little year has been successful in a way I would never have anticipated. ~ My beau and I will soon be first time home owners. Woo!! ~ Spring is really truly here (today in particular! ), with the birds nesting, flowers in full bloom, bees happily wallowing in pollen, sun shining, and everything so very green to show it. ~ I am happy and healthy and look forward to each day. ~ and I have made so many supportive and wonderful friends here via the internets, in a way I did not know was possible. ~ This giveaway is for you, my friends, and this includes the friends out there I have yet to meet. To make this twice the fun, there will be two gift recipients. 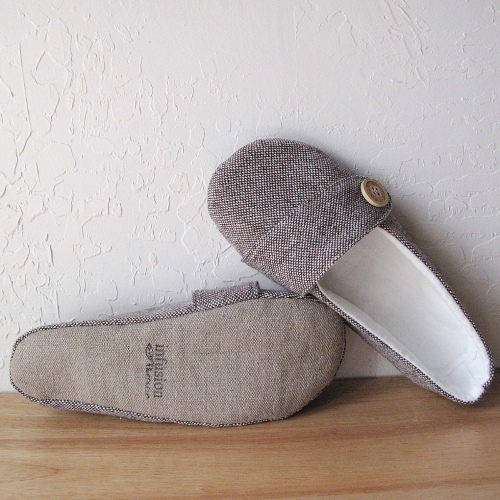 The first will receive a pair of handmade slippers in their size, similar to the pair shown, and will have their choice of recycled leather or natural hemp for the sole. The second will receive a hand stamped hemp zipper pouch lined with mustard yellow organic cotton plus a little bitty unnamed surprise. If you would please leave a comment sharing one thing (or many things!) you are grateful for or find worthy of celebrating at our little party, I will choose 2 of your names at random, to be the recipients of these handmade eco friendly gifts. There are no restrictions. Anyone is invited to participate. I will announce the results sometime Wednesday morning.